It’s no wonder why the Maldives features high up on our list of diving bucket list locations – it even has the word ‘dive’ in its name, so it only stands to reason that diving in this beautiful location is beyond superb. Set in the warm and exotic Indian Ocean, the Maldives boasts large populations of pelagic fish which come to eat their fill on the large variety of reef fish. The Maldives is an extremely interesting and isolated group of islands that appear above the water’s surface as small atolls. In actual fact, the majority of the land mass of the Maldives is below sea level and can only be seen when diving or snorkelling around the many islands and lagoons in the area. These outcrops jutting out of the water are actually the coral tips of an oceanic mountain range which stretches right down to depths of about 3000m. The reefs surrounding the atolls are high-functioning, healthy ecosystems complete with marine life of all shapes and sizes including unique crustaceans and critters. There are deep, nutrient-rich and plankton-filled channels that run between the 26 individual atolls and the open ocean, and it is for this reason as well as the remote location of these atolls that the underwater life is at its prime. Beyond a shadow of a doubt, the Maldives offers some of the most spectacular diving experiences on earth and will not disappoint with a plethora of rich and diverse marine life in its waters. Although the Maldives offers a picture-perfect scene for holiday-makers and sun-seekers, the underwater conditions can be rather challenging due to complex currents, underwater pinnacles and the necessity to dive deeper to fully experience the greatest diving in the Maldives. There are three types of diving environments you will encounter in the Maldives namely channel diving, thilas and farus. Channel diving in the Maldives is a difficult and dangerous process but an experience that will completely pay off at the end of a fantastic dive filled with eagle ray and reef shark sightings. Divers may be required to fight currents or hook onto the reef if conditions are particularly bad. Thilas are submerged pinnacles that attract large amounts of fish as well as predators. These formations allow for nutrient-rich waters to surround their walls and as such they are covered in soft corals and sponges who benefit from this environment. Thilas are also good for interesting creature spottings such as flatworms, leaf fish and scorpion fish. A Faru is the Maldives version of a reef dive. Reef dives in this area tend to be easier than other locations and the colourful reefs are home to fan coral, glass fish and anemones. Noteworthy dive experiences include night diving at Alimatha, wreck diving at Maachafushi Wreck and experiencing a manta cleaning station at Lankan Manta Point. There are also shark cleaning stations at Maareehaa and Hafusha Thila that offer great hammerhead, silky shark and grey reef shark sightings. As the Maldives is rather remote (it is a whopping 700 km from Sri Lanka) and the diving locations are spread out over 1000km, diving this area is best done via liveaboard to get the most bang for your buck. Many liveaboards depart from areas nearby Male Aiport, but others may require you to take an internal flight to one of the remote atolls such as Baa, Huva, Laamu or Huvadhoo. Liveaboards generally run in the months between November and May, however, it is possible to dive in the Maldives all year round. The Maldives boasts sightings of turtles, whale sharks, manta rays and hammerhead sharks all throughout the year, however if you’re looking for the manta mecca be sure to visit Hanifaru Bay from August to November when masses of plankton bring the majestic manta rays to this marine reserve. There are two monsoons in the Maldives, one from December to May and the other from June to November. Strong currents and great visibility are characteristics of the first monsoon, where winds come from the northeast allowing calm conditions and visibility in the region of 30 metres on the eastern side of the atolls. Rainfall is most prominent in the months of June and July where it has been known to rain every day for up to 4 hours. During the southwest monsoon, visibility is better to the west as winds are stronger during this time. Generally speaking, the Maldives is geographically categorised into 3 main areas: north, south and central. If you’re looking to follow the path less travelled and dive where not many divers have been, the northern sites of the Maldives are where you should begin. Many of these sites have yet to be discovered, however, the known sites are certainly nowhere near as busy as sites in central Maldives. As such, these northern sites offer even better corals and an amazing undisturbed ecosystem. Staying at a resort is a popular choice in the north as there are not many dive operators in this area. Keeping on the path less travelled, the southern Maldives sites are also less visited, however not impossible to get to if you’re willing to take a few internal flights or find a suitable liveaboard trip. Sites in the south are channel dives and are popular with shark enthusiasts. The majority of liveaboards operate in the central Maldives and offer all three diving environments within close proximity, which is why this is the most popular option for divers. Although this area may be the most visited, the health of the coral and variety of marine life is still exceptional. Feeling inspired and raring to go? Check out our Maldives travel guide and start planning your next diving trip! Nelivaru is located only 1km north of Kunfundahoo island and offers high chances of Manta ray spotting. World famous dive site for Hammerhead sharks. Incredible night dive with many pelagics. Protected by UNESCO, Hanifaru Bay is one of the most astonishing manta sites I have ever visited. Whilst diving is not permitted anymore, it remains a sanctuary for people to snorkel with manta rays and whale sharks. At any given time, there can be over one hundred mantas and several whale sharks feeling off the coral reef. I was swimming with them, observing their ritual dances and identifying them with Manta Trust, I would recommend it to anyone who has a passion for marine biology and diving. 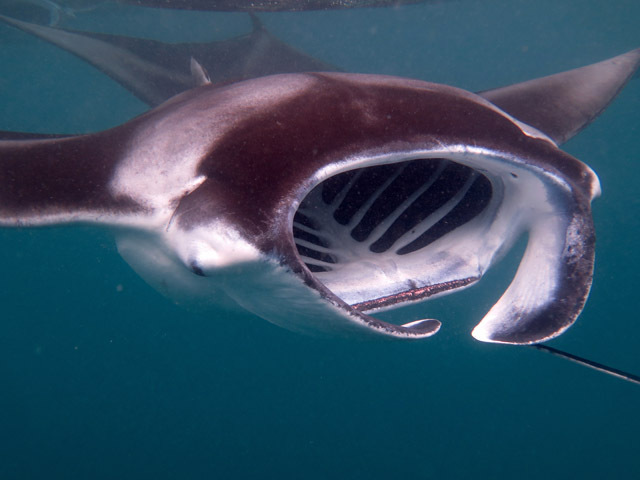 The mantas beauty and elegance was extremely inspiring to me. Manta rays are extremely friendly and unique creatures. I loved snorkeling there because it seemed like establishing a bond between me and the animals. Hanifaru is characterized by amazing sandy paths where I used to freedive in the middle of the large groups of mantas. Diving in Baa Atoll is great. Diving in North Ari Atoll is great. Diving in Vaavu Atoll is great. Diving in South Ari Atoll is great. Diving in North Male Atoll is great.